DeWine’s been labeled as “pulling info from who knows where” to attack Democratic opponent Rich Cordray, pushing “lies about drug issues”, being “loose with the facts”, making “dubious claims” and committing a “full flop” on a key healthcare issue and not acknowledging it. And those are just the headlines where writers feel like getting creative! These fact-checkers have tabbed DeWine’s statements or ads as “misleading” voters in the state on at least eight separate occasions in the last few months. Seriously, you can count ‘em — one, two, three, four, five, six, seven, eight. False, mostly false, half-true, misleading, lies, dubious — these are the ways Mike DeWine’s attempts to win your support are described by independent fact-checkers time after time after time. Unfortunately, we live in a toxic political climate where outright lies and fabrications are encouraged from the top down and DeWine is as much an example of that attitude as anybody else. Lies are part and parcel of politics, but the floodgates have been opened since Donald Trump’s election in what is proving to be a terrifying trend. 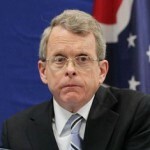 Ohio used to have a law explicitly preventing false campaign statements, but it was struck down and declared unconstitutional in federal court after DeWine filed a brief arguing for its demise — in a case where he was also defending the law as Ohio’s attorney general (honestly it’s hard to make this stuff up) — because it would harm candidates’ abilities to effectively campaign. In his defense, if you need to lie in order to get anybody to vote for you, that might be true. But in all seriousness, the way DeWine’s campaign has played out in the public eye and hinged so much on his pervasive lies is very troubling for Ohio’s future. With Trump up for re-election in 2020 and flooding the public discourse with a new deluge of lies every day, we are headed down a slippery slope to even scarier times in America. DeWine is no different from the head figure in his party and represents a continued decline into lies, deceptions and falsehoods as the key pillar of conservative politics. We must decide as a society, as a state and as voters if this is what our values are. Voters are the final line of defense and the final voice of accountability when candidates act this way.